From its inception, Saltacello has been performing regularly on stages in Germany and abroad. In 1999, the group expanded its international circuit to include China and Korea. 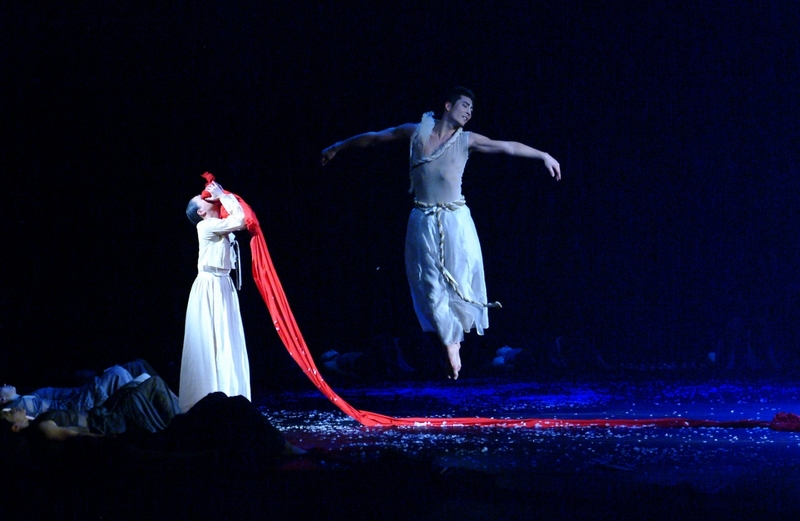 Its engagement in Asia resulted in a collaboration with the Ballet of the Korean National Theater. 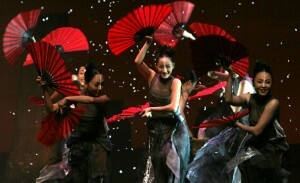 The dance-theater production Soul, Sunflower has been one of the high points of this intercultural cooperation. Premiering in 2007, the work was enthusiastically received by audiences of more than 17,000 in 15 performances. 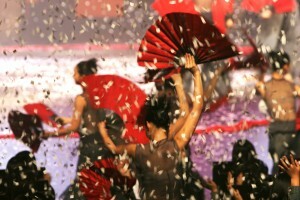 In the same year, Soul, Sunflower was awarded First Prize as the “Critics Choice” in Korea. In 2010, the work was performed for the first time in Germany at the Ludwigsburg Forum, where all eight performances were fully sold out. Kulturgemeinschaft Stuttgart (Cultural Association of Stuttgart) scored a brilliant coup! 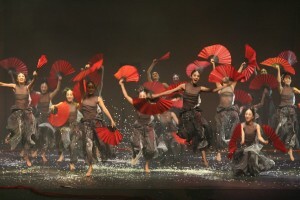 For the fall season in the Forum at Schlossgarten in Ludwigsburg 2010, it was able to attract the National Theater of Seoul. 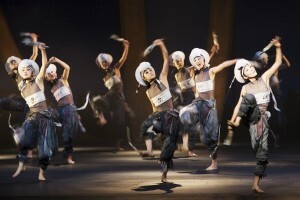 With the production Soul, Sunflower, the troupe surprised even those who, based on past performances by guest dance troupes from the Philippines, Indonesia, Bali, India, Japan, China and Taiwan, believed that they knew something about the dance culture in the Far East. In the first part of the two-hour program, through the dances of the shamans, we started by allowing our souls to be cleansed, looking for our spiritual roots. Then, thus prepared, in the second part of the performance, we began to communicate through rituals with the deceased and the spirits. Here, courtly dances alternated with unbelievably rich fan dancing replete with ritualized acts – the women with what appeared to be boneless spines and the men with their powerful proud jumps and martial coquetry. The result was pure magic, and as members of the audience we were unable to resist being drawn into their spell. Like a drug, the five musicians from the ensemble Saltacello created a sound environment, each with his own distinct range of tones – from piano, to cello, to saxophone, contrabass and drums, supplying the driving force to sustain director Jung-Hye Bae’s gesture-rich choreography with its wistful variation of arm positions. All of this, combined with the changing stage lighting, added up to a stimulating aesthetic extravaganza. 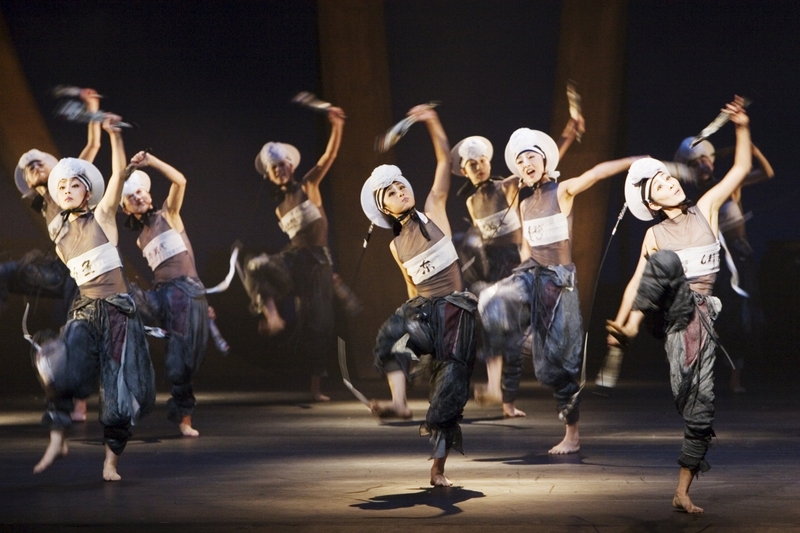 THE NATIONAL DANCE THEATER OF KOREA (NTOK) was established in 1962 and since its foundation has been the organization representing dance in Korea. On its home stage, at the foot of the Namsan hill in the middle of Seoul, and at countless international festivals, the company presents its extensive repertoire. The dance production Soul, Sunflower by the NTOK and the German music ensemble Saltacello is a once in a lifetime inter-cultural experience which fuses Far Eastern and Western voices and emotions with dance and music in the most unconventional and original ways. The inspiration for the choreography for Soul, Sunflower is a re-interpretation and modernization of the Korean Salpuri dance. Salpuri is a soul-cleansing dance, and literally translated it means: “to wash away evil spirits.” In the modernized movements of the Salpuri, the performers depict human wishes, desires and longings. With its immense rhythmical flow in which the dancers give themselves over fully to the music, the Salpuri is the climax of a Shaman ritual, the intention of which is to connect this world with the next. 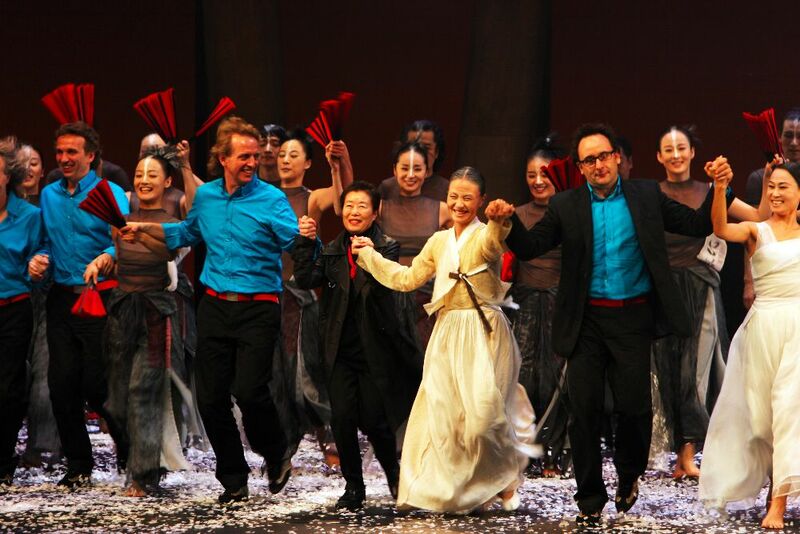 Without any narrative structure, the technically brilliant dancers of the National Theater of Korea express deeply rooted human desires and enable the audience to delve into the emotional world of the Far East. The new interpretation and modernization of the Salpuri in this unique inter-cultural joint work is carried musically by the ensemble Saltacello – sometimes lyrically, sometimes expressively as they performed both on and above the stage and throughout the performance space.